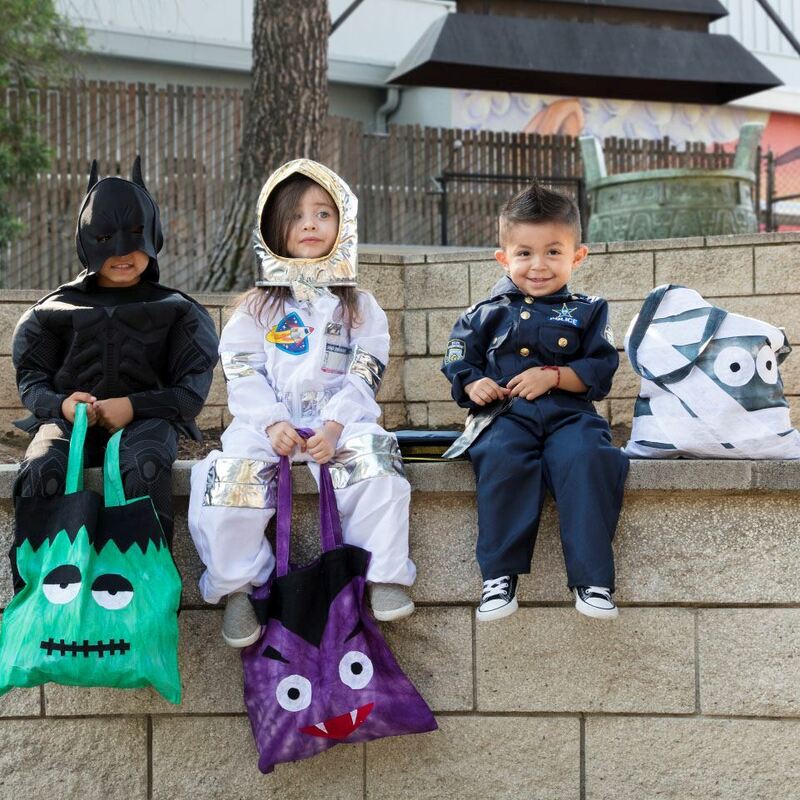 You’ve spent weeks planning, shopping and paying attention to every detail on their costume, so why have the kiddos settle for an old pillowcase or shopping bag as their trick or treat bag? These three ideas will guide you to make an adorable loot bag for all your little ghosts and goblins, and are simple and quick enough to even make the night before thanks to Aleene’s® Fabric Fusion®! Cut desired monster faces from old t-shirts. Create from scratch or print out desired patterns from the computer. The ones here are the classic characters of Frankenstein, Mummy, and a vampire. But use your imagination as anything goes! For the mummy, cut strips and two circles from a white t-shirt worked perfectly. Position fabric cut outs onto tote, glue with Aleene’s Fabric Fusion, and let dry. Follow the same concept to create the other two monster totes using shirt colors that are fitting for each design.